Body Art practices include physical body adornment by means of tattooing, body piercing, or permanent cosmetics. The construction, permitting, and operation of Body Art establishments, as well as the licensing of artists, are regulated under the authority of O.C.G.A. 31-3-6 and O.C.G.A. 31-4-20. Below you will find links to all requirements and applications. If you have further questions, contact your local Environmental Health Office. Infection: Body art equipment that is not properly cleaned can transmit infectious diseases like hepatitis, HIV, skin infections and other bacteria. Infections can also be caused by contaminated ink, even when the body artist has followed all sterilization and hygiene procedures. 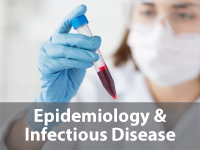 Infections may require prolonged treatment with antibiotics. Allergic Reactions: Reports of allergic reactions caused by tattoo ink are rare, but when they happen it causes trouble because the ink may be hard to remove. In some instances, people can develop an allergic reaction to a tattoo after having it for years. Keloids: People already prone to developing keloids (scarring that extends beyond the normal boundary) are at risk of developing keloids from a tattoo. Keloids occur more frequently as a consequence of tattoo removal. Granulomas: Tattoo ink is a foreign object entering the body, and in some cases cells react to the foreign ink by forming nodules around the ink. These raised, red bumps are commonly found when red ink is used, but green, blue, purple and UV-visible tattoos have also been associated with this reaction. MRI Complications: There have been reports of people experiencing swelling or burning in a tattoo when undergoing magnetic resonance imaging (MRI). There are also rare cases of tattoos interfering with the quality of the MRI image. People with tattoos or permanent makeup should inform the radiologist or technician before receiving an MRI. Removal Problems: Tattoo removal is a painstaking process, even with advances in removal techniques and technology. Removal may involve many treatments and high costs, and complete removal without scarring may be impossible. Microblading is a trend that is increasing in popularity with people looking to modify their appearance. The process, also known as eyebrow embroidery, is a form of semi-permanent tattooing, using ink to alter the appearance of the eyebrows. A small, hand-held blade made up of multiple needles is used to create small, shallow tattoos that resemble the natural hair of a person’s eyebrow. On May 8, 2018, Governor Deal signed Senate SB 461 making microblading of the eyebrow a legal tattoo effective July 1, 2018. If you have questions about a facility or tattoo artist offering microblading, contact your local health department’s environmental health office. Georgia Department of Public Health’s Environmental Health Office does not regulate or certify the tattoo/body art industry. Most counties in Georgia have adopted their own local body art ordinance. All 13 North Central Health District counties have adopted local ordinances regulating body art. Contact your local County Health Department’s Environmental Health office in order to obtain an application for a Body Art Studio permit. Complete the application and submit along with required documentation and all applicable fees. Each application for a permit shall be accompanied by an 8 ½” x 11” or larger page containing a detailed, to-scale floor drawing of the Body Art Studio. Such drawing shall show the accurate placement of each of the following: windows, doors, room measurements, chairs, tables, sinks, bathrooms, waiting area, and equipment placement for clients and/or staff. Provide a list of all employees who will be working in the studio (include full legal name, nickname, and employee position) and documentation for each employee in relation to completion of training in Blood Borne Pathogens/Universal Precautions and Basic First Aid/CPR Certification. 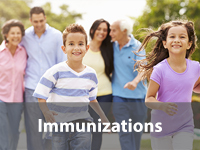 Provide documentation for the acceptance or refusal for each employee concerning Hepatitis B Vaccination. Provide documentation for compliance with local zoning, certificate of occupancy, business license, etc., if applicable. Fill out the body art application and submit the completed form along with additional required documents and all applicable fees to your local county health department’s environmental health office. You will be required to obtain a separate license for each county/studio if you work in multiple facilities in North Central Health District. Licenses must be renewed annually. A body art apprenticeship program will last a minimum of two years/2,400 hours with an individual artist deciding if they will apprentice in one or both disciplines (tattooing/piercing). This apprenticeship program ensures that future body art professionals have mastered the techniques necessary to practice in a safe and health-conscious manner. This is not to ensure that the “art” will be acceptable to the consumer – just that basic techniques necessary for public health safety have been taught to the apprentice. The apprentice will be required to work a set number of hours while learning the basics of body art. Tracking sheets will document the area/discipline where the apprentice has demonstrated knowledge and proves completion of formal course work (education). As stated, the apprenticeship as set forth is intended to ensure public health safety and not proof of skill as an artist. The apprentice and supervising professional body artist will submit documentation showing performance of a variety of piercings and tattoos to show the work was accomplished. An apprentice must be supervised by a practitioner who has been professionally licensed for at least ten years (tattooing) or ten years (piercing) and who can show evidence of full-time experience during that time. Proof of completion of an approved public health apprenticeship will be defined as two years of experience (defined as 2400 hours of actual experience as outlined by the Body Art Advisory Committee) in a licensed establishment in Georgia or other state to include the minimum established requirements. *These requirements are only valid within the NCHD and are not inclusive of any additional training the studio management or supervising professional body artist may require. 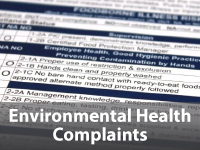 Call your nearest environmental health office with any questions or concerns!